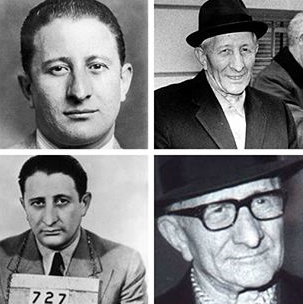 "Don" Carlo Gambino (August 24, 1902 - October 15, 1976) was a Sicilian mobster, notable for being Boss of the Gambino crime family. 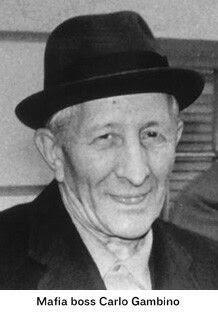 Carlo Gambino began carrying out murder orders for Mob bosses in his teens. 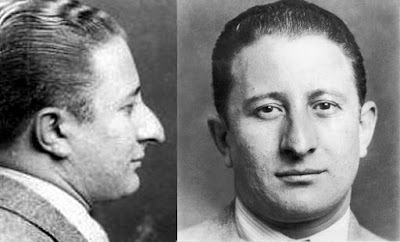 At the age of 19, he became a "made man", and was inducted into Cosa Nostra. He was the brother-in-law of Gambino crime family mobster Paul Castellano. After the 1957 Apalachin Convention he unexpectedly seized control of the Commission of the American Mafia. 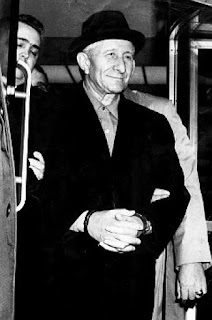 Gambino rose steadily in the ranks and after organizing the murder of Anastasia became the new boss of the Mangano crime family, which was renamed the Gambino crime family. 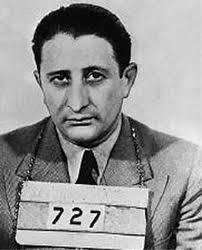 Gambino secretly aligned himself with Luciano, Costello and Lansky against Vito Genovese. Soon after the Apalachin Conference disaster, Costello, Luciano and Lansky met face to face in Italy. Luciano came up with a plan which would get rid of Genovese for good. In 1959, Genovese was going to Atlanta where a huge shipment of heroin was arriving. When he arrived, Genovese was surprised by local police, the FBI and the ATF. He was convicted for selling heroin and sentenced to 15 years in penitentiary. 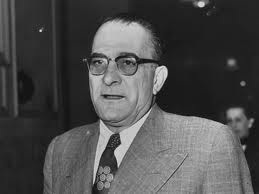 With the support of Costello and Luciano, Gambino was named head of the Commission in 1962. Gambino ruled his family and the other New York families with an iron fist, while keeping a low profile both from the public and law enforcement. Gambino died of a heart attack on October 15, 1976. After leading the Gambino crime syndicate for 20 years, and The Commission for more than 15, he left behind a family with 500 soldiers, and he died while watching television at his home. His funeral was attended by at least 2,000, including police officers, judges and politicians.